Many brands rely upon local support and traffic in order to maintain successful web presences. Brick and mortar brands in particular need a combination of foot traffic and web traffic in order to remain viable. Much can be gained from being in a position of prominence within local Google results – especially with so much on-the-go research and mobile traffic on Google today – so it makes sense to ensure you’re well positioned in this regard. Small changes and additions in local search can have a substantial impact almost immediately; below, we’ll discuss how you can improve your prominence in Google local search results beginning today! In order to really take advantage of local search on Google, your business or brand needs to be documented as having a location. If you are pinging to Google a physical location, then you are guaranteed to show up in local searches via Google Places. By requesting a NAP form, you’ll be able to fill out information such as your business or brand name, its location and its contact information. You can fill out even more information later, such as a website, business hours and have reviews featured in search. This NAP form will be mailed to the physical address associated with your business or brand; if you don’t have a physical location, then you won’t necessarily be able to take advantage of this feature. In order to be more prominently featured in local Google searches, you must first tell Google how to associate your brand. 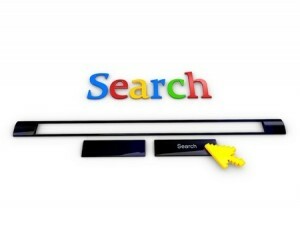 By using a variety of local keywords and combining them with services, products, or whatever information you may otherwise offer, you’ll be letting Google know that there is relevance between these searches and your brand. Particularly with brands and businesses that have a physical location, you’ll want to verify that the physical information matches across all websites and directories. If you have local-specific keywords or addresses listed in other places, make sure they are updated and match what is currently applicable. By having targeted locations associated with keywords and having this information consistently available across multiple sources, you can boost your local performance in Google by up to twenty percent. Because reviews are so prominent in local Google searches, it only makes sense that you should look to obtain as many as possible. By pinging to Google even just a few positive reviews, you’ll dramatically improve your local SERP penetration. People trust third-party reviews: more than nine in ten people report that reviews from sites such as Google influence them more than traditional advertising mechanisms. There is a good chance that you will not encounter many different competitors locally with many reviews, so even just a handful can go a long way toward maximizing your prominence in local search. You can help increase the number of reviews for your brand by reminding customers to do so after a purchase, by requesting reviews be left through your Google Plus social media account, and by including references to your Google Plus account in as many marketing mediums as possible.